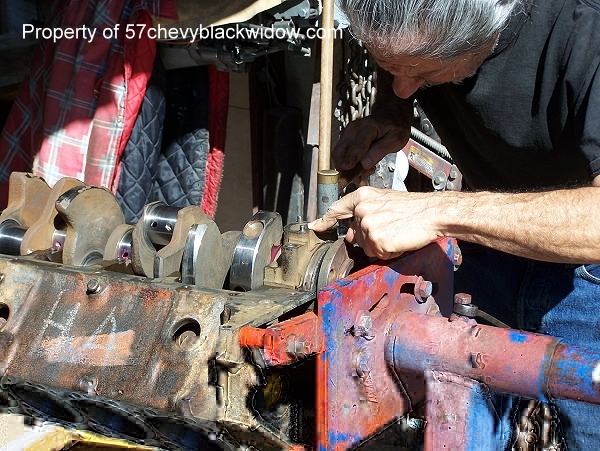 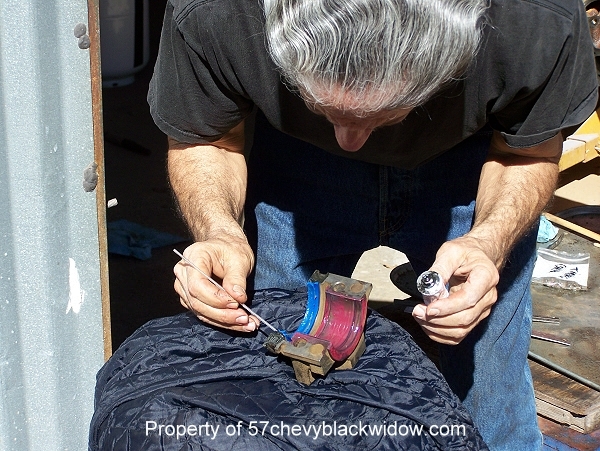 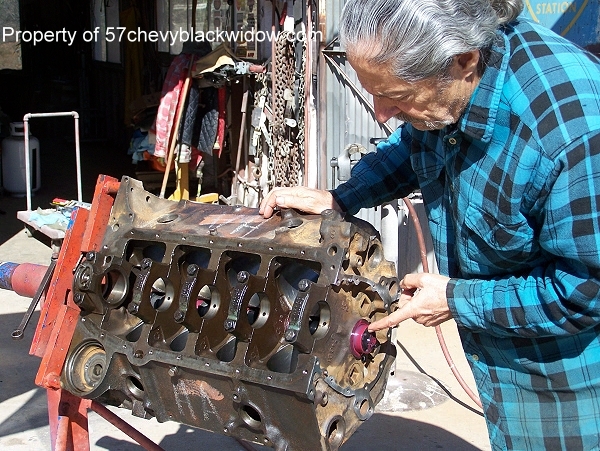 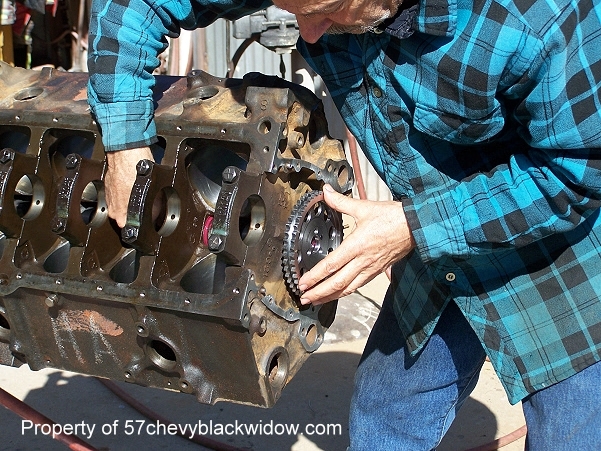 Here you see "Old Guy Scott's" installing the cam and crankshaft, he uses Redline Assembly lube on all moving parts. 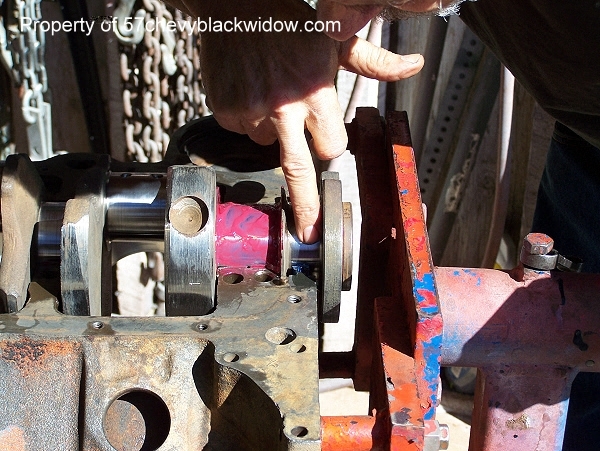 In photo # 279 you see "Old Guy Scott's" offsetting the rear main seal and uses Permatex number two on the ends, this guarantees no leakage. 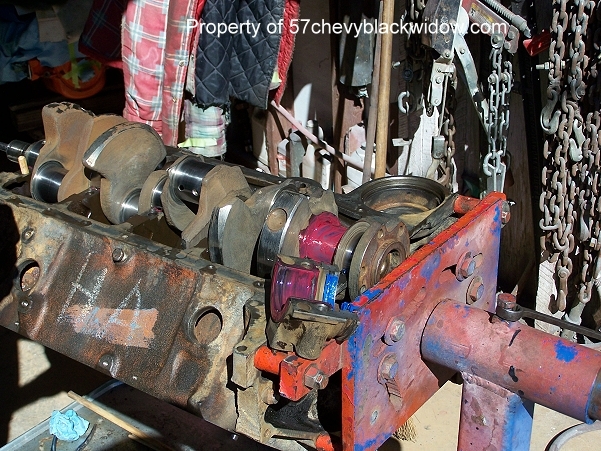 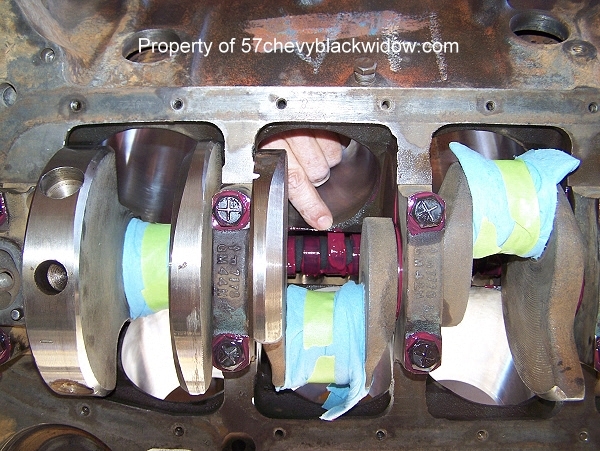 Photo #280 shows Vaseline applied to the crankshaft sealing surface for the rear main seal. 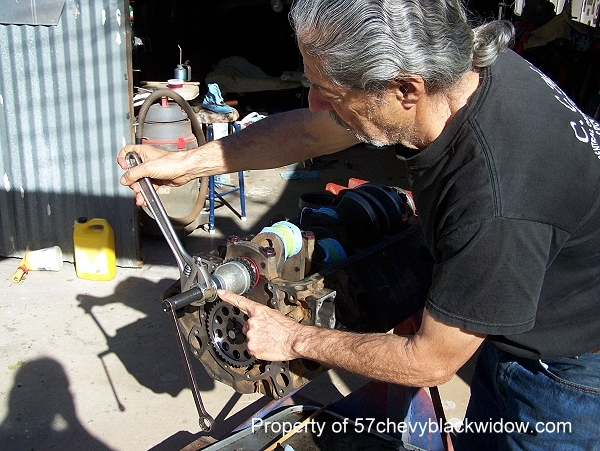 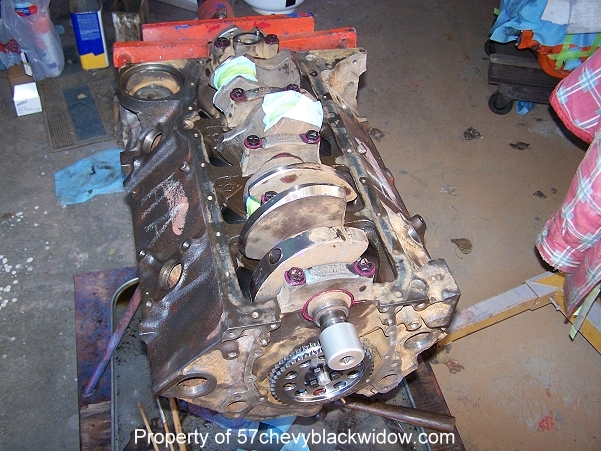 Picture # 283 shows the importance of drilling and tapping 7/16X20 threads in the end of the 283" and 327" crankshafts, the original method was to hammer on the crank gear and damper. 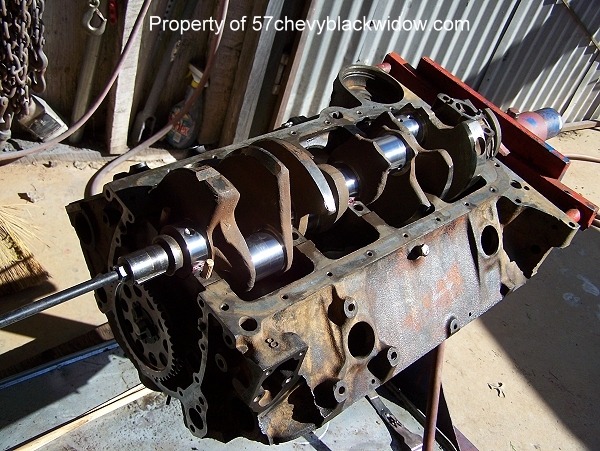 Picture # 284 reminds you to lube the cam lobes before installing the timing chain, this way the crankshaft won't be in the way. 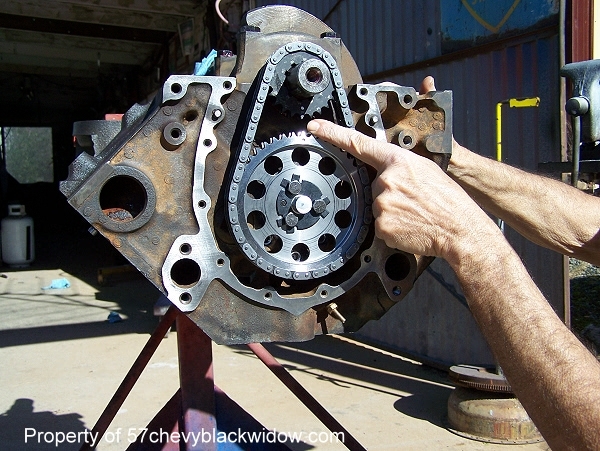 Picture # 285 reminds you to line up the right cam timing dots when you install the chain.